If you are a MWF student member and are interested in organising a talk at your medical school you are invited to approach Central Office for some sponsorship towards the running costs. 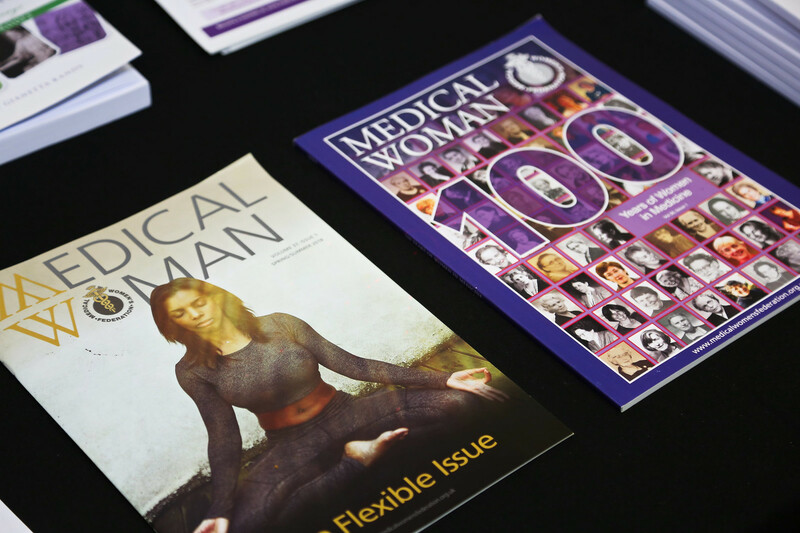 In return MWF asks that you distribute some leaflets at your event and don't forget you're always welcome to approach us for suggested speakers. We have many prominent, successful members from all different specialities who are happy to come and share their experience! NB: We need at least a month's notice of your talk so we can take your request for funding to the Treasurer. medical students at our meetings. We frequently run careers talks around the country attended by female doctors from all specialities. These offer helpful advice and guidance for students. Contact Central Office for more details. MWF celebrates its centenary in 2017 and we have a week of events lined up from 10th-13th May 2017 to mark the occasion. Click here for more information and to register your place! We are also asking for submissions for poster abstracts for the centenary conference. Click here to download the application form. BMJ Careers has produced useful tips on preparing winning CVs and interviews. Click here to have a look at the tips on CVs and here to read the tips on interviews. Why do you need to be fit to practice as a Medical student? The answer is found here! This is a useful website detailing sources of funds and providing advice. Visit www.money4medstudents.org. The society for promoting the training of women provides loans to women of all ages seeking to improve their career prospects by undertaking further education and training. Click here to visit their website. UCL have produced a series of podcasts interviewing leaders in medicine, including an interview with current and immediate past Presidents of MWF Dr Clarissa Fabre and Dr Helen Goodyear. The Royal Society of Medicine website has lots of useful information and runs over 400 really useful events for students every year.